Condition: Excellent, Not like new, NOT NEW. Minimal signs of use inside and outside. 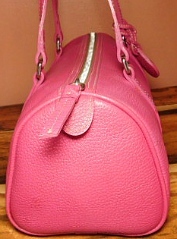 Bag has retained 90% or more of its original semi-crisp shape. No damage or missing parts. No odd odors. 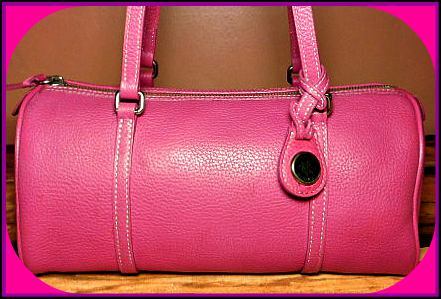 Jo's Note: "Delicious Raspberry purple-pink All-Weather Leather! 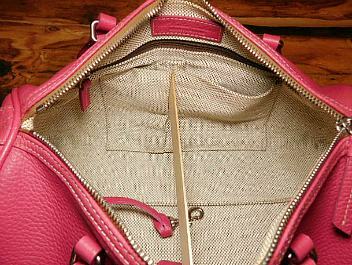 The generous amount and size of the interior pockets makes it the perfect organizing handbag of choice. 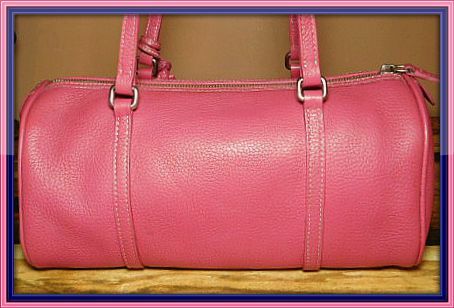 This is one of the earlier Barrel bags made only one season with a limited edition Dooney Fob which is in excellent condition. 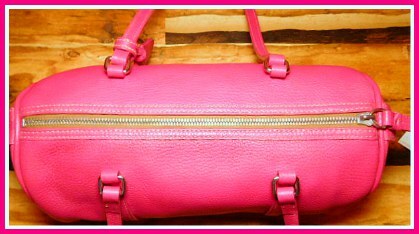 Pre-owned with gentle use and a fabulous price!"